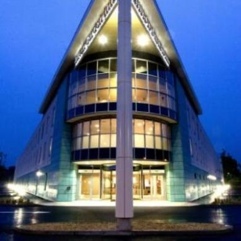 I decided to attend the Input Roadshow held at Hilton Garden Inn – Luton on Saturday 14th April running from 1.00pm – 4.30pm and it was great to see Lesley and Anna from Input for a catch up. I was pleasantly surprised to see so many people with Diabetes attend to ask questions and see what Insulin Pumps are currently available. The companies who attended were Animas, Roche, Medtronic, Cellnovo and Advanced Therapeutics all showing off their latest pieces of Diabetes kit. I arrived at 1.00pm and was greeted by the Input team that put this super event together so well done to the Input team for a great event. My main objective was to say hi to some of my contacts from the Insulin Pump companies and to see what new technology is available. I am already very familiar with the Medtronic Veo and Animas Vibe which are both superb Insulin Pumps which offer integrated CGM but I didn’t get a chance to chat with the team from Advanced Therapeutics (sorry guys) which I was a little annoyed at but purely because they were busy and I run out of time unfortunately. I did however get to speak with Jill from Animas who I have met a few times and Justin from Medtronic who again I know very well so it was good to have a chat. I wanted to know more about the Accu-Chek Combo pump as i had not seen it before and how it works so spoke with Sue who also gave me a demo of the system which was great as everything you need can be done by the handheld BG Smart Meter very easily, I also like the software which gave some great reports and was easy to understand. Next I spoke with Carol from Cellnovo which is a new pump shortly being released and certainly looks amazing with its iPhone looking handset to the small patch pump, unfortunately I don’t know a huge amount about the Cellnovo pump as it is very new. 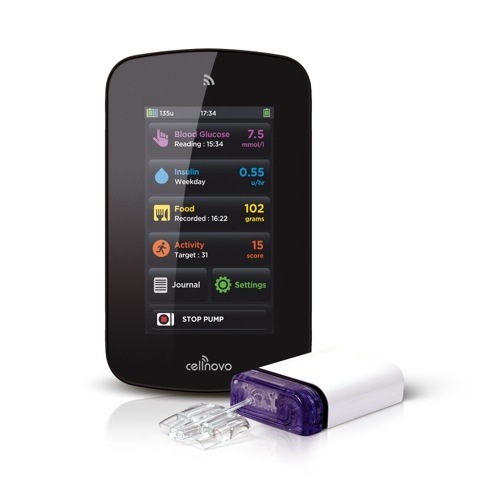 Cellnovo is basically a patch pump with an amazing smart handset that can do everything from testing your BG with a built in blood glucose meter for test strips to monitoring exercise due to the patch pump having a built in accelerometer – wow. My next task is to try and convince Cellnovo to let me try their pump so I can physically see how it works day to day as seeing it in your hand is different to sleeping, working or even excersining wearing the patch pump. All in all a very enjoyable afternoon and superbly organised by Input so well done guys. Check out the Input web site for more info on forthcoming events as it is well worth a visit. As a new study highlights major variations in diabetes-related foot amputation rates, Barbara Young, chief executive of Diabetes UK, explains why action is needed to cut rates of preventable amputations. If I were to tell you about a place where thousands of feet were amputated every year as a result of poor healthcare, you would assume I was talking about somewhere in the developing world. Well you’d be wrong. The fact is that here in the UK, thousands of people with diabetes have amputations every year. Not only does an amputation dramatically reduce quality of life, but the likelihood of dying within five years is greater than for breast, bowel or prostate cancer. And yet an estimated 80% of the 5,000 diabetes-related amputations a year in England could be prevented through better healthcare and improved management of the condition. The fact that so many people are needlessly having their feet amputated is a national disgrace. And yet despite the large numbers, awareness of the problem is worryingly low even among people with the condition. The scandal of preventable amputations is one we hope to bring to an end with our Putting Feet First campaign. Over the next five years, we want the number of amputations in people with diabetes to reduce by 50%. Raising awareness of the issue will be a big part of this. The 2.8m people in the UK who have been diagnosed with diabetes should know how important it is to manage blood glucose levels, cholesterol and blood pressure well, as well as checking feet regularly and making sure shoes fit properly. But they also need to know what healthcare you should expect – because all too often it falls short of what people are entitled to. Firstly, everyone with diabetes should get an annual foot check. These are important for identifying problems at an early stage, but many thousands of people are not getting them. And when they are being done, they are sometimes insufficiently thorough. I have even heard of foot checks where the patient is not even asked to take their shoes and socks off! Also, at the end of the check patients should be told what their risk status is, so if this does not happen then you should ask. Secondly, if you have a foot ulcer then you need to be seen by a diabetes specialist foot care team as soon as possible. It should certainly be within 24 hours, as an ulcer can deteriorate in a matter of hours. Some areas are already doing well in terms of getting diabetes-related ulcers referred to these specialist teams within 24 hours. But there are also poorly-performing areas where this does not happen. Tragically, that omission can be the difference between someone keeping their foot and losing it. If people with diabetes are not offered this level of care, they should insist on it and complain if they don’t get it. But the point is that decent healthcare is something everyone should get as a matter of course. For this to happen, we need to address the reason that large swathes of the country are doing so badly. We know from speaking to health professionals that many of them are desperate to give people with diabetes the best possible foot care but feel unable to do so under the existing system. This is why the government needs to show leadership on this issue by insisting that all areas of the country offer the same standard of care that is already available in the best areas at the moment and monitoring and managing standards to ensure that they are being delivered. This greater political will is the only way to bring an end to the tragic postcode lottery of amputations and in doing so create an NHS that really does put feet first for people with diabetes. Claims of 24,000 ‘excess’ deaths from diabetes. As many as 24,000 people with diabetes are dying unnecessarily each year, many of the papers have reported today. This shock statistic was a conclusion from the National Diabetes Audit, the first ever report to look at deaths from the condition. While this is a large number of deaths, it must be viewed in context – millions of people live with this potentially life-threatening long-term illness, yet it can be managed safely. The National Diabetes Audit suggests that in England there are about 24,000 ‘excess deaths’ a year in people with diagnosed diabetes. This means that each year, around 24,000 more deaths occur among people with diabetes than would be expected to occur if their mortality risk was the same as that of the general population. A press release from the NHS Information Centre, which published the audit report, said these deaths could be avoided through better management of the condition. What other risks did the National Diabetes Audit find? The study found that the risk of death for a person with type 1 diabetes (where the insulin-producing cells of the body do not work at all) is 2.6 times higher than that of the general population. For people with type 2 diabetes (where the body does not produce enough insulin, or the body’s cells are not sensitive enough to insulin) it is 1.6 times higher. In younger people, the difference in mortality rates is even bigger. For example, women between 15 and 34 years of age who have type 1 diabetes are nine times more likely to die than women in the general population, and women of this age with type 2 diabetes are six times more likely to die. The report also found a strong link between deprivation and increased rates of early death. Among under-65s with diabetes, death rates among people from the most deprived backgrounds were double that of those from the least deprived. Death rates also vary according to where people live; London has the lowest mortality rates from both type 1 and 2 diabetes, while the highest mortality rates were in the north east of England. What is the National Diabetes Audit? As part of this GP audit, all primary care trusts contributed data from 5,359 GP practices on 1.4 million people with diabetes. This figure represents 68% of the 2.1 million people estimated to have diabetes in England in 2007-2008 (the participation rate). The current analysis focuses on mortality from the condition, and has therefore also linked data from the NDA to formal death notifications through the NHS Information Centre Medical Research Information Service (MRIS) in order to include data for those people with diabetes not included in the GP audit. What was the report’s main finding? By following up the ‘cohort’ of 1.4 million people with diabetes over the next year, the researchers found 49,282 deaths. As the ‘participation rate’ (see above) was 68%, taking the estimated prevalence of diabetes in England, it was estimated that the total annual number of deaths of people with diabetes was between 70,000 and 75,000. This represents about 15-16% of the 460,000 deaths that occur annually in England. Researchers estimated that in total there were about 16,000 more deaths among people with diabetes than would been expected if their mortality risk was the same as the general population. By linking these results to records of national death certificates (in order to include people with diabetes who did not participate in the audit) they estimated 24,000 excess deaths each year in people with diabetes. The risk of death for patients with type 1 diabetes was estimated to be 2.6 times higher than that of the general population, and for people with type 2 diabetes the risk was estimated to be 1.6 times higher. Across the country there were variations in mortality, from 1,852 deaths out of 100,000 people with type 1 diabetes in London to a high of 2,351 out of 100,000 in the northeast. For type 2 diabetes the figures ranged from 1,246 out of 100,000 in London to 1,668 out of 100,000 in the northeast. Why are so many people dying of diabetes? The analysis itself did not look at the specific causes of death among people with diabetes. However, it is widely recognised that without proper management of this condition, there is a higher risk of death from several causes including critically high or low blood sugar, heart failure or kidney failure. Diabetes is a long-term condition that affects the body’s ability to process glucose (sugar). Normally the amount of glucose in the blood is controlled by the hormone insulin, which helps break it down to produce energy. In people with diabetes, there is either not enough insulin to process the glucose or the body’s cells do not respond appropriately to the insulin produced. This results in glucose levels building up in the blood. There are two types of diabetes: type 1 and 2. People with type 1 diabetes do not produce any insulin. People with type 2 diabetes do not make enough insulin, or the body’s cells are not sensitive enough to insulin. Having either type puts people at increased risk of several serious complications, including heart disease and stroke, circulation problems, nerve damage, foot ulcers, blindness and kidney damage. It is important to note that this audit measured deaths among people with diabetes – it did not show whether diabetes caused their deaths. For example, diabetes is a risk factor for cardiovascular disease such as heart attack or stroke. Also, other cardiovascular risk factors that often co-exist in people with diabetes, such as overweight or obesity or high blood pressure. It is not possible to tell the direct cause of death from this data. How is diabetes usually managed? Diabetes management aims to keep blood glucose levels as normal as possible. People with type 1 diabetes need to have daily injections (or administration by pump) of insulin. In people with type 2 diabetes, management depends upon the severity of the condition. A healthier diet and lifestyle alone can sometimes control the condition in people with early stage disease, although most people with type 2 eventually need to take medication to control their blood sugar. Some people with type 2 diabetes may also eventually need to take insulin. Medication may also be needed to reduce other associated risk factors for cardiovascular disease. For example, medications to reduce high blood pressure or control cholesterol. Self-management of this condition is also crucial. People with diabetes need to be aware of and monitor blood glucose levels, maintain a healthy weight, eat a balanced diet, avoid smoking and have regular health checks. How can these deaths be prevented? Experts agree that people with diabetes can live long and healthy lives and reduce their risks of complications through appropriate self-management, as outlined above. Not every healthcare essential may apply to children with diabetes who may have different requirements. Do I need to worry about this if I have diabetes? The figures are alarming but they do highlight the need to make people with diabetes aware of the importance of self-management and of obtaining the level of healthcare they require to help them manage their condition. With the right care and support, people with diabetes can go on to live long and healthy lives. having regular check-ups with your diabetes care team. Exciting times and I am looking forward to hearing more about the New Cellnovo Insulin Pump or maybe even a trial ? September 19, 2011, London, UK. Press Dispensary. Cellnovo today announced that it has received CE Mark approval for the world’s first mobile diabetes management system, a significant milestone for the company and for people living with diabetes. “This is Cellnovo’s first step in a journey to bring this mobile diabetes management system to the world,” says William McKeon, Chief Executive Officer of Cellnovo. 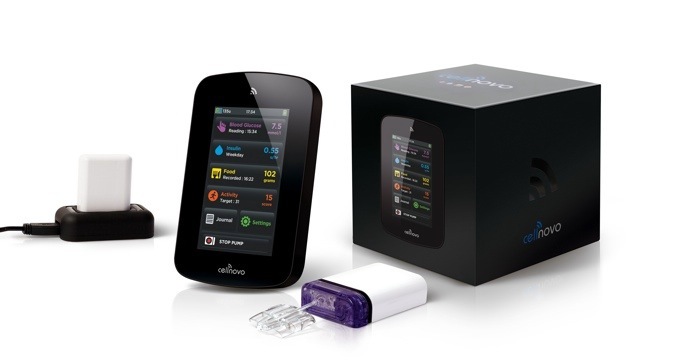 Cellnovo is a complete diabetes management system built around the principles of mobile, wireless technology. The system includes an insulin patch pump, a wireless, touch screen handset with a built-in blood glucose monitor, and an extendable applications set. “Cellnovo has created the first insulin pump that brings innovation and combines form with function, essential qualities in a device that patients have to interact with 24/7,” says Dr. Pratik Choudhary, Clinical Lecturer in Diabetes at King’s College London. Cellnovo’s ground breaking technology means that diabetes therapies can now be managed more easily, accurately and intuitively. The patch pump is the smallest and most precise ever developed, and the touch screen, wireless handset is instantly familiar to those who have used other mobile devices such as Apple’s iPhone. The most exciting feature of the Cellnovo handset is that it wirelessly receives and transmits real-time data to a portal for patients and caregivers to use. This means that patients no longer have the burden of keeping meticulous journals, and that the data collected is incredibly accurate and consistent, ensuring optimal monitoring and treatment of the disease. “The ability to see real-time data of patients who may be hundreds of miles away provides the opportunity to redefine our care model,” says Dr. Mark Evans, Lecturer and Honorary Consultant at the Institute of Metabolic Science at the University of Cambridge.